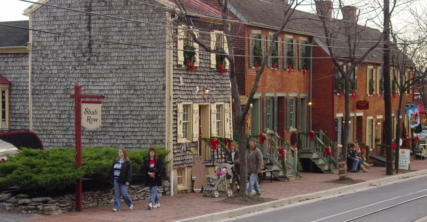 Downtown Frederick is a popular destination for holiday shopping. With an abundance of independently-owned stores, it’s the perfect place to find special gifts and treats for everyone on your holiday shopping list. Whether you select hand-crafted chocolates for a co-worker at The Perfect Truffle or choose a great book for the bookworm in the family at Curious Iguana, you’ll discover unique gifts that are sure to be loved! Festive white lights and the warm reception from passionate shop-owners are sure to put the fun back in holiday shopping. 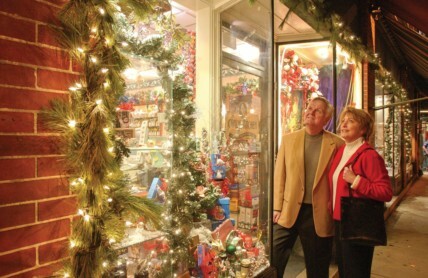 You’ll appreciate all the season has to offer in hip and historic downtown Frederick. Shop local is a theme taken to heart in Frederick. At stores like The Muse and the gift shop at the Delaplaine Visual Arts Education Center, you’ll find a large selection of one-of-a-kind handcrafted gifts for the home, as well as personal accessories like jewelry, made by talented local artisans. Several boutiques throughout downtown Frederick offer an eclectic array women’s clothing -- from Velvet Lounge to Alicia L Boutique to Venus on the Half Shell. At Molly’s Meanderings you’ll find romantic and elegant treasures. The store has apparel, linens, bath products, jewelry and more. If you’re a foodie or you have one on your shopping list, Frederick is a fabulous place to shop for tasty treats. Lebherz Oil & Vinegar Emporium has more than 50 varieties of oil and vinegar on tap. You can sample as you shop and your selections will be bottled and sealed right before your eyes. Across the street at the North Market Pop Shop you’ll find a huge selection of cane-sweetened, glass-bottled sodas. Crisafulli’s Cheese Shop offers a delicious selection of artisan cheese, charcuterie, and wine. At Firestone’s Market you’ll find a fun selection of regional and gourmet foods, wine & beer, gourmet baskets, and culinary gifts. If there are youngsters on your shopping list, Dancing Bear Toys and Gifts is filled with fabulous no-tech fun and games that encourage creative play for all ages. Some merchandise is like a nostalgic trip down memory lane and other items are fun new twists on the classics, but nothing in the store requires batteries. Stop in and see what sparks your imagination! Short on time or don’t know what to get someone on your list? 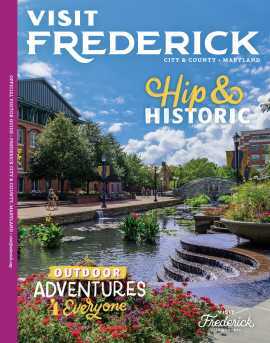 Stop in the Frederick Visitor Center to purchase a Downtown Frederick Gift Card for any amount from $10 to $500. It can be used at more than 150 stores, restaurants, theatres, and galleries. 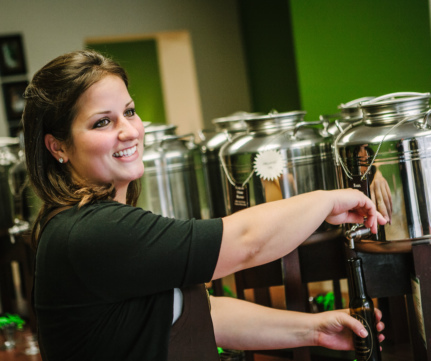 Want to introduce someone on your shopping list to Frederick’s great culinary scene? Give a gift certificate for a Taste Frederick Food Tour, a 3-hour guided walking tour and culinary adventure through historic downtown Frederick. It’s a great way to get to know local restaurants, specialty food shops, local history, and culture.